For a long time now I’ve been in love with milk stouts, and have wanted to brew one. Lisa has also been asking for a coffee stout, specifically one using New Orleans-style coffee and chicory (we’re both New Orleanians by birth), to slake her thirst for java. In a flash of inspiration, I decided to combine the coffee/chicory stout and milk stout into one brew: a “café au lait” stout. You know, just like Café du Monde on Decatur Street would serve if they had a liquor license. A sweet stout is a great beer style to honor my hometown. Like New Orleans, sweet stout is dark and mysterious, but full of character. It may be intimidating to the uninitiated, even harsh at first; but it’s warm and inviting when you know what to expect. And you discover something new about it with each new taste. That’s all very poetic, I know, but it’s a lot to explain when filling a glass. So adding the ingredients of a real French Market café au lait was exactly what I needed to bring my lofty symbolic interpretation of the city back down to earth. I chose specialty grains with coffee-like flavor profiles to accentuate the coffee in the finished product. I’d never used coffee malt (which despite the name is just barley malt – it has no actual coffee in it) before, but it was advertised as being kilned to 130-170L with a smell and taste like coffee, and it didn’t disappoint. Roasted barley, too, is known for its coffee characteristics, so I opted for it instead of black patent malt to get a little more flavor. The medium-dark crystal malt was added to round out the malt profile of the beer and leave some respectable body. I started the mash at 153°F, and it dropped to 152°F by the end of the 60-minute mash. Gore from severed starch molecules splatters the walls of my mash tun like a scene from Dexter. I did two batch sparges and ran 7.75 gallons of 1.032 wort into the kettle. For my last several brews, I have been forced to run off extra wort and boil it down for 90 minutes to hit my target OG. Someday I’ll figure out why that’s the case, but for now I don’t mind the longer boils. It gives me time to catch up on reading and Words With Friends. I took a sort of bare-minimum approach to the hops, as I really wasn’t interested in a lot of hop character. I want the aroma and bitterness of the coffee and chicory to come through. So I added just .75 oz of 12.4% AA Nugget hop pellets to the boil with 60 minutes left to go, and no late hop additions. 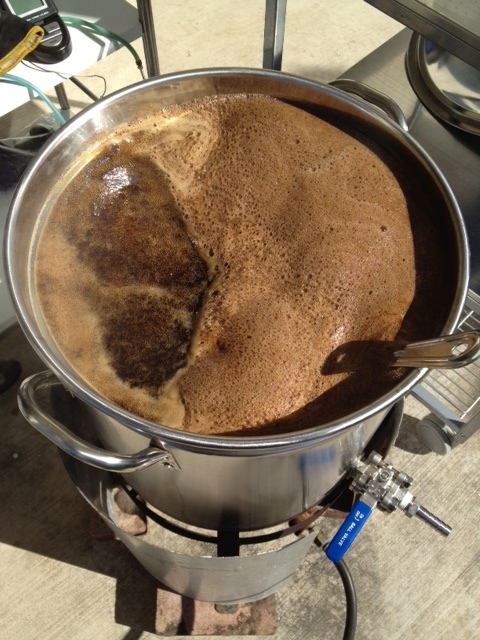 I added 1 lb of lactose (the ingredient that makes a milk stout a milk stout) later in the boil, with 20 minutes left. It's not just pretty to look at. The backyard smelled like a Starbucks. Notice that I haven’t actually added the coffee and chicory yet. So far, this café au lait stout is just a milk stout begging for a wake-up, but it’s amazing how much it already smells like coffee, thanks to the malts I used. At kegging time, we’ll cold brew between 16-24 oz of coffee and chicory and rack the beer onto that. Cold brewed coffee is recommended because of its smoothness, and it’s really the only way we drink coffee and chicory in this house anyway. The OG of the wort was 1.064, and I pitched 14 grams of rehydrated Fermentis Safale S-04 yeast. After years of using liquid yeast and rarely using the same strain twice, I’ve recently started using more dry yeast, and this simple English ale strain is rapidly becoming my go-to strain. That’s partly because I’ve been making a lot of British styles, and partly because my busy schedule hasn’t left me with much time to properly prepare liquid yeast for pitching (making a starter, etc.). But I couldn’t have settled down with a finer microbe, because S-04 works fast and flocculates like a rock star, leaving some fruity esters behind but mostly a very clean beer. 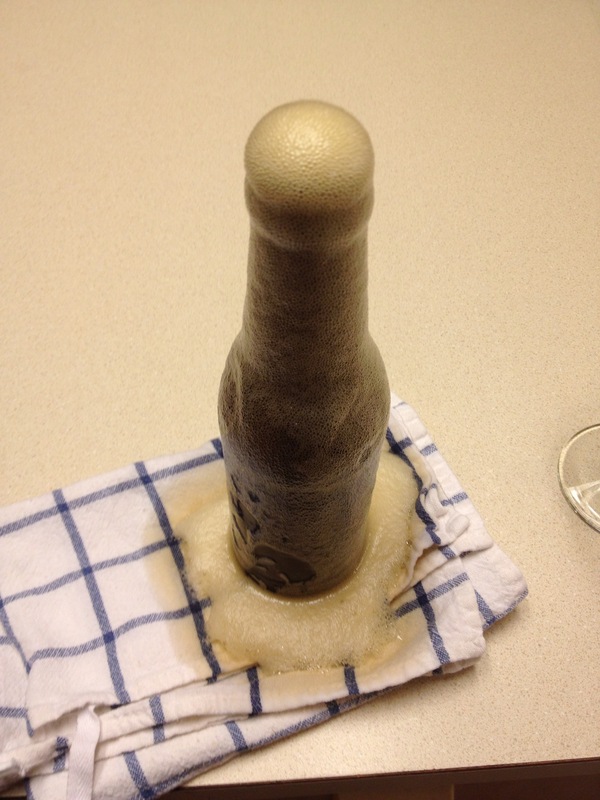 I brewed this beer on Saturday, and as of yesterday, the kraeusen was already starting to fall. Moments after pitching the yeast. They may be stooges, but they keep my fermentations cool. I’m really excited about this brew. So much so that I couldn’t wait to make it, even though my timing means that I’m going to have a thick, malty stout on tap during the brutal Texas summer. But a friend said to me recently, “Any season is the right season for stout,” and I couldn’t agree more. Especially when my respite from the heat will be a tall, delicious pint of the Big Easy. So, who’s bringing the beignets? The closet under the stairs – affectionately referred to as the Harry Potter closet – is the coolest, darkest part of the house. It’s where I keep all my fermenting beers and where I “cellar” store-bought beers in bombers. I seem to collect them faster than I can drink them, taking them out mainly for special occasions: a Chateau Jiahu on my birthday, a Brooklyn Sorachi Ace to celebrate the purchase of a new Japanese film on Criterion Blu-Ray, that sort of thing. But once in a while, we open one just for the hell of it. Saturday night was one such time. Thirsty from the effort of arranging our new outdoor furniture into Tetris-style configurations on our limited square of backyard patio, my wife Lisa and I decided to open a bottle of Boulevard Saison-Brett that we’d been eying predatorily for months since we’d bought it. The words “farmhouse” and “sour” are bandied about so much in the craft brew community lately, it’s easy to forget that just a few short years ago, the word “rustic” was a euphemism for “needs time,” and Brettanomyces (the aggressive wild yeast responsible for the funky flavor in many wild fermentations and notoriously hard to clean out of one’s brewhouse once it’s been introduced) was spoken of in hushed tones like Jack the Ripper was in the back alleys of Whitechapel in the 1880’s. 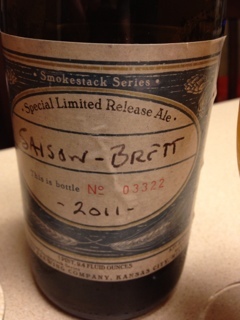 Now many craft beer lovers are on a first name basis with “Brett” and we like a little funk to shake our glasses. But there are no doubt still some brew aficionados out there who haven’t jumped on the funk train just yet. To them I say: this beer’s for you. The first word that comes to mind when I think of this beer is “accessible”. It’s the same word people use to describe Frank Zappa’s Apostrophe(‘) album, or the Lars von Trier film Melancholia. 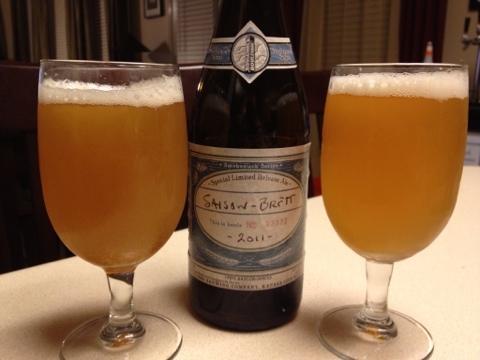 Boulevard Saison-Brett is as good an entry point for the newbie down the rabbit hole of “sour” beer as those works are into the intimidating corpora of those artists’ careers. The beer pours a cloudy orange-straw color. The color reminded me of photos from Belgian breweries that I’ve spent hours gazing at online with longing, like a lonely teen with an Internet girlfriend. The head is pure white and rocky, with big bubbles you want to dive right into. There’s a respectable amount of sediment in the bottle, but not too much. To call the aroma “floral” is an understatement. It’s perfumey, with citrus notes and just the tiniest hint of barnyard aromatics from the Brett. The flavor starts out much the same: perfume on the front end, with a tart and citrusy middle. But this is where it gets interesting. Once the citrus leaves the palate, astringency and sherry-like oxidation notes scrub it right away, leaving the finish very dry. It’s almost like champagne and just as refreshing. There’s not a hint of boozy flavor in this brew, which boasts a not-too-shabby 8.5% ABV. I paired mine with some crumbled blue cheese, fig spread, and sesame crackers. I had to remind myself to take bites of my snack between sips, as the dry finish left me wanting to wet my whistle again and again. As for the funk, it was present, but in the background – not the star of the show. Think George Clinton backup singer, not Bootsy Collins standing radiant in all his platform-booted, star-shaped-spectacled glory. There was very little of the barnyard, musty flavor typically associated with Brett beers, but that could very well be because we drank it so soon. Brett character tends to evolve over time, and I just couldn’t wait to try this one; but with a few more months in the cellar, the funky character may have come more to the foreground. All in all it was a fantastic beer, and I wish I had bought a second bottle to hold onto and see how it ages. Once I get through a few more of the bombers in the Harry Potter closet, I will make sure to save some room for another couple of Saison-Brett bottles if and when Boulevard decides to release another. 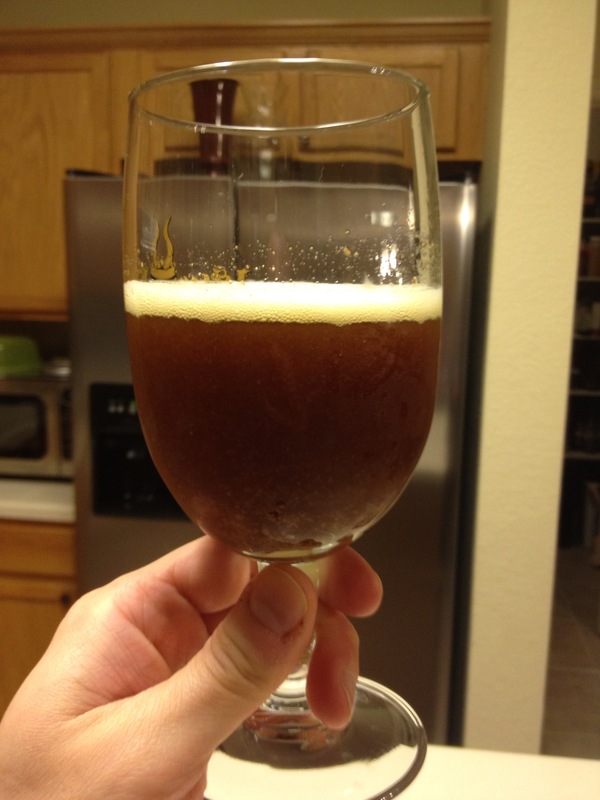 Part of the awesomeness of homebrewing is being able to drink a beer that you can’t buy. If you want to make a chocolate mint stout with a little bit of cardamom in it because it reminds you of your groom’s cake, you can. If you want to make a wheat ale inspired by the 13th-century Italian civil war between the Guelphs and the Ghibellines, you can (I might). And if you hear about an obscure beer that people are enjoying in another part of the world, instead of shaking your fist at the heavens and cursing the wretched stars for the circumstances of your birth, you can just make the beer yourself. 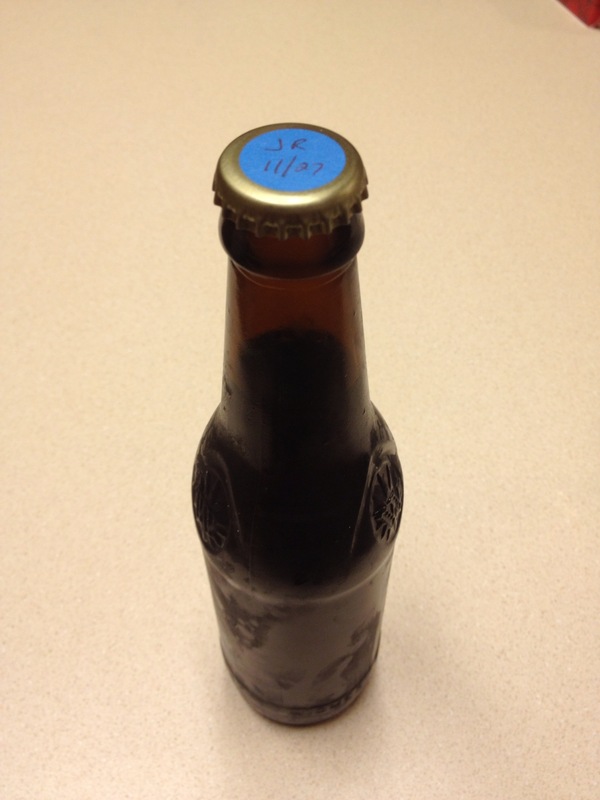 In February 2011, I saw a vial of White Labs WLP630 Berliner Weisse Blend at my local homebrew shop. I’d read a lot about Berliner Weisse, a refreshing, low-alcohol sour wheat beer fermented with ale yeast and Lactobacillus bacteria. It sounded delicious, and apparently is available everywhere in Northern Germany, even hot dog carts (frankfurterwagens in the vernacular, I believe) and brothels. But it’s hard to come by on this side of the Atlantic. I was stoked to find the necessary yeast blend – all I needed now were some common malts and hops. “At last! You will be mine!” I shouted, and cackled as I slipped the vial containing the precious mix of microbes into my shopping basket. Then I got home and started reading about brewing sour beers, which I had never done before. The first rule of Sour Club is you need to be very careful to avoid cross-contamination: that is, you don’t want the bacteria in the sour beer to infect equipment you use to make traditional “clean” beers that ferment with just yeast, because they can turn all your “clean” beers sour. Plastic equipment is very susceptible to cross-contamination, because plastic surfaces get tiny scratches over time that harbor bacteria. I use almost exclusively plastic (I’m clumsy, and would so drop a glass carboy filled with 5 gallons of beer), so for me this basically meant that I needed a whole new set of brewing gear. I panicked. I didn’t have the money to invest in a second set of equipment just to make a beer I wasn’t even sure I’d like. So I stuck the vial in the fridge and forgot about it. The yeast blend expired in May 2011, but I held onto it for weeks. Weeks became months. Soon it was February, and for all I knew, 99% of the yeast blend was probably dead. It was only then, having become a man with nothing to lose, that I found my courage. A new set of small batch gear was cheaper than a new set of 5-gallon gear. 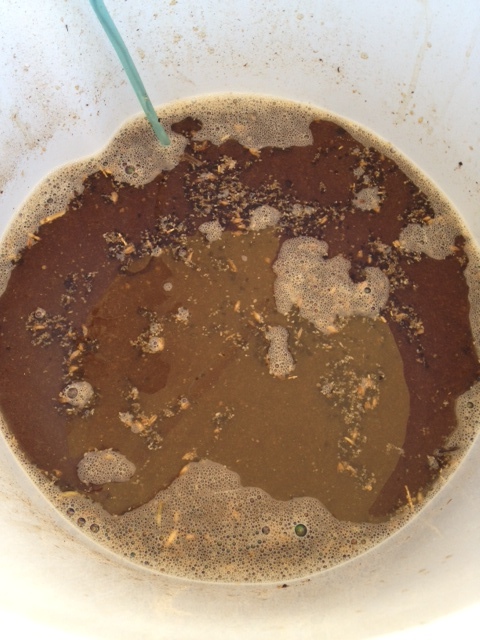 If most of the yeast blend was dead, I’d have better luck with a smaller volume of wort. I wasn’t sure how much Berliner Weisse I’d need around the house anyway. I mashed at 149°F for 90 minutes in a pot on the stove; brew-in-a-bag, no sparge. I added .22 oz of Hallertau Saphir hops (4.2% AA) and boiled for 15 minutes. 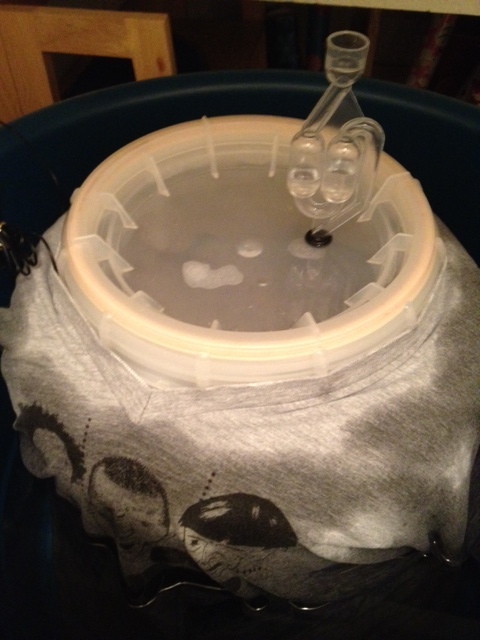 I transferred 5.5 quarts of wort with a gravity of 1.035 into a 2-gallon bucket I’d outfitted with a stopper and airlock. Then came the moment of truth: pitching the year-old yeast/lacto blend. On account of the Teutonic heritage of the style and the unholy act of bringing microbes back from the dead, I named the brew “Bacillusferatu” after my second favorite German expressionist horror film (I plan to honor my favorite one soon with a pyment mead of buckwheat honey and Cab Sauv grape juice called “The Cabernet of Doctor Caligari”). But I never had much hope that my creation would live. Surely there was not enough magic left in that vial. But man, was I wrong. It took a couple of days to get started, but it did. And it fermented wonderfully. 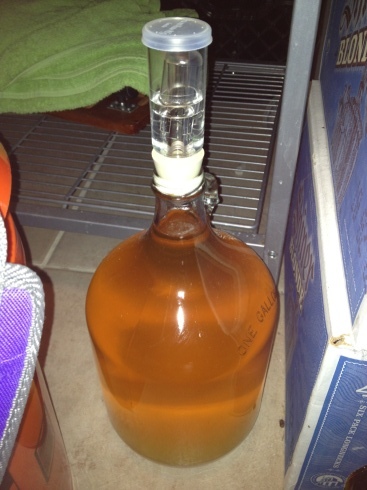 "Is this your carboy? What a lovely neck." I still have no idea how this beer will turn out. Right now it tastes good and funky, but with no tartness yet. But I have learned two important lessons from brewing it. #1 – As a homebrewer, I alone control my drinking destiny. #2 – Douglas Adams and Charlie Papazian were right. Don’t panic. Relax, don’t worry, have a homebrew. To which I’d add: Never be afraid to try something new.